You're Gonna Bake It After All: 1st Birthday Cake - 1st Try with Fondant! 1st Birthday Cake - 1st Try with Fondant! 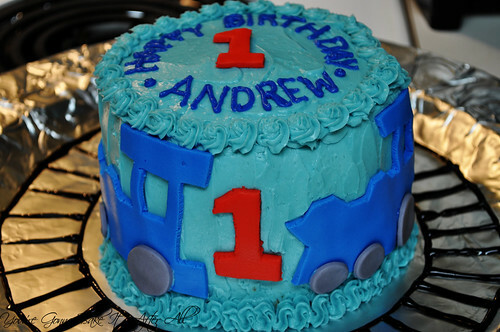 My very good friends Jenny and Jeff recently threw a party for their son Andrew's 1st birthday. I was honored when she asked if I would make his cake. After making the monkey cookies for her baby shower last year, I wanted this cake to be very special for such a big occasion. We decided that I would make a small cake for him to get into and cupcakes for the rest of the guests. Jenny went with a train theme for the party - she decorated the tables with red table clothes and used black streamers to make "train tracks" down the length of each table. 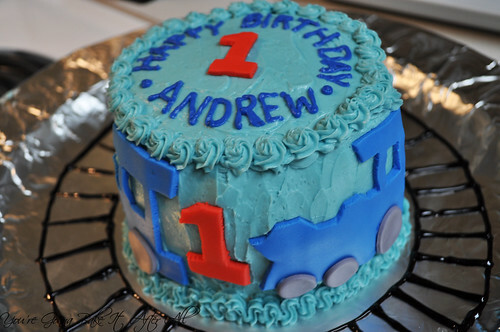 Andrew wore a shirt featuring a train and a big "1." There were pictures up around the room of Andrew from each month of his life. It's amazing to see how much he's grown! I decided to cheat and used a box mix for the cake and cupcakes for 3 reasons, 1) the amount of cake batter I needed for 36 cupcakes and a 6" double layer cake, 2) the party was on a Saturday meaning everything had to be made on weeknights after I got home from work, and 3) cake mixes are just so darn moist and stay that way even when the cupcakes are refrigerated for a few days. The buttercream was used to bind the 2 layers and coat the entire cake. I piped more buttercream around the top and bottom of the cake using a large star tip (I believe it's a Wilton 1M). Then I set out to conquer fondant . . . I have been wanting to try Annie's recipe for Marshmallow Fondant for a while now, and I used her Fun with Fondant tips as a guide. I cut the recipe in half and still had much more than enough for making the decorations. I used an X-acto knife and free-handed the decorations. I just added a little more buttercream to the back of each before "pasting" them to the cake - not sure if it was necessary but I wanted to make sure they would stick. I used store-bought black gel icing to draw a train track around the cake, and Jenny found a "Thomas the Train" toy that we put on the track at the party. 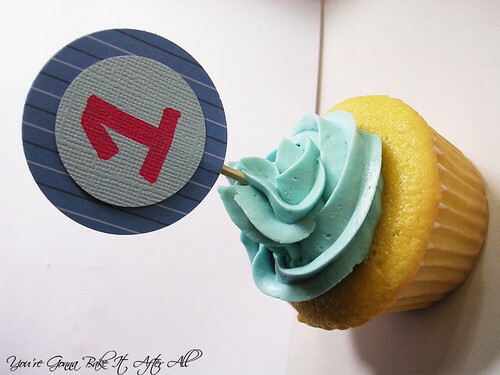 Coincidently, she discovered that all Thomas the Train's have a "1" on them - perfect for a 1st birthday party!!! I think that's it! I consider my first run at fondant a success, and I'm exciting to use it again. 1. Using the shortening, generously grease a large microwave-safe bowl, the bowl of the stand mixer, a spoon/spatula (or two), and the mixer dough hook. 2. Add the marshmallows and water to the prepared microwave-safe bowl and microwave for 60 seconds. Stir with the greased spatula/spoon. If not all the marshmallows have melted, microwave for 30 more seconds. Stir in the flavoring. 4. 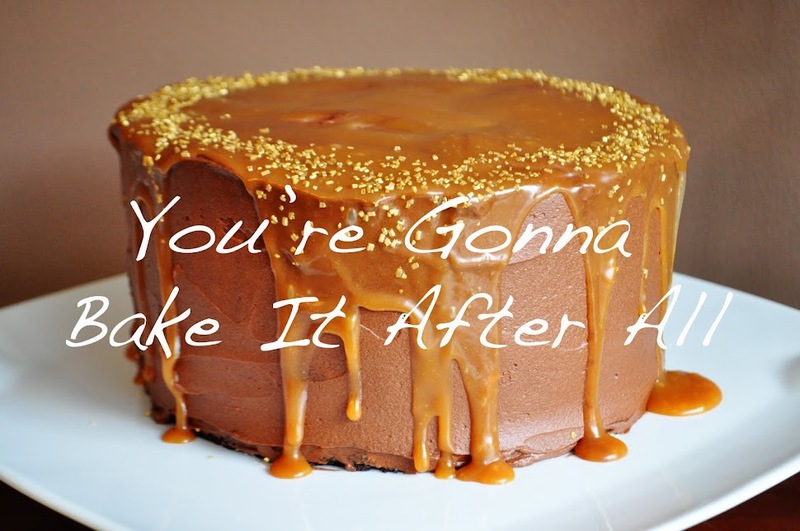 Turn the fondant out onto a piece of plastic wrap. Rub a bit of shortening on the outside of the ball. Wrap tightly with the plastic wrap, place it in a resealable plastic bag and let rest for at least 2-3 hours. Keep the unused portions covered when not in use. If the fondant becomes stiff, microwave for 20 seconds at a time until it becomes pliable. That is a very cute cake! I have never tried using fondant, i didn't know it was something that could be made that easily. I will have to try it for the next birthday party! well done! this looks awesome! Awesome job - so cute! !